I am an ancient idea modernised. I give you what noone else has. I am for the ambitious minds. The first Duesenberg lapsteel guitar - made of solid mahogany, equipped with two humbucking pickups, an integrated capodaster and the latest version of our famous Multibender system. The freely configurable Multibender is operated with the heel of the hand. 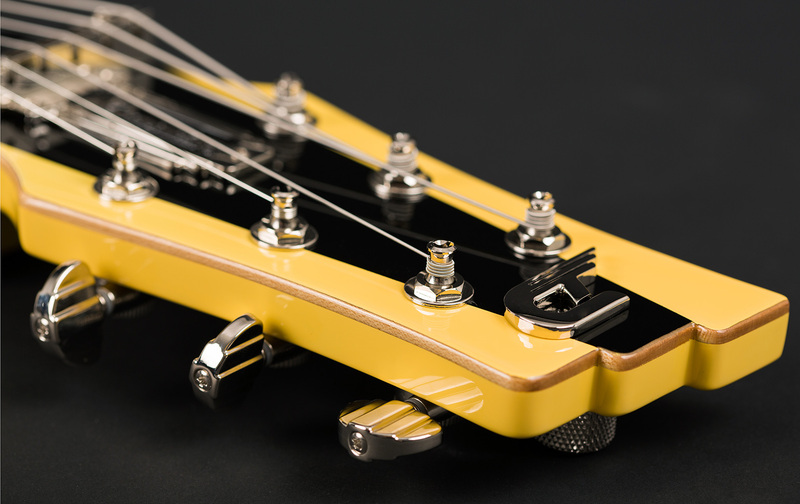 Up to six levers (one per string) are mountable, which allow you to either raise or lower the notes on the individual strings to a preset setting. 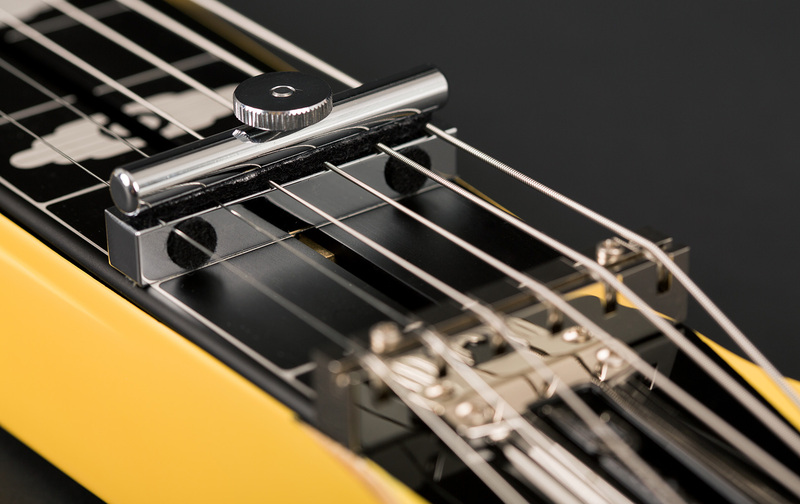 Furthermore, the integrated capo, which runs along a track on the anodized black aluminum fretboard, enables freedom of movement between all keys without sacrificing the typical lapsteel riffs and licks that rely on open strings. 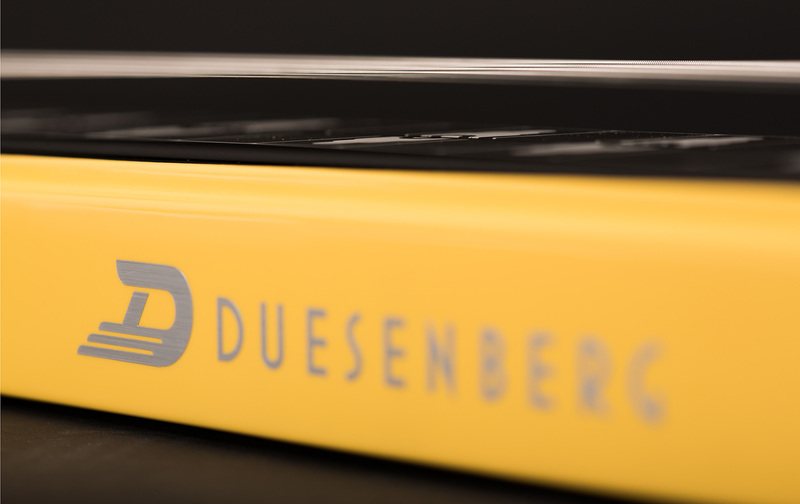 A roll nut provides tuning stability, while Duesenberg LittleToaster pickups deliver a clear and powerful sound that goes excellently well with distortion pedals or distorting amps. 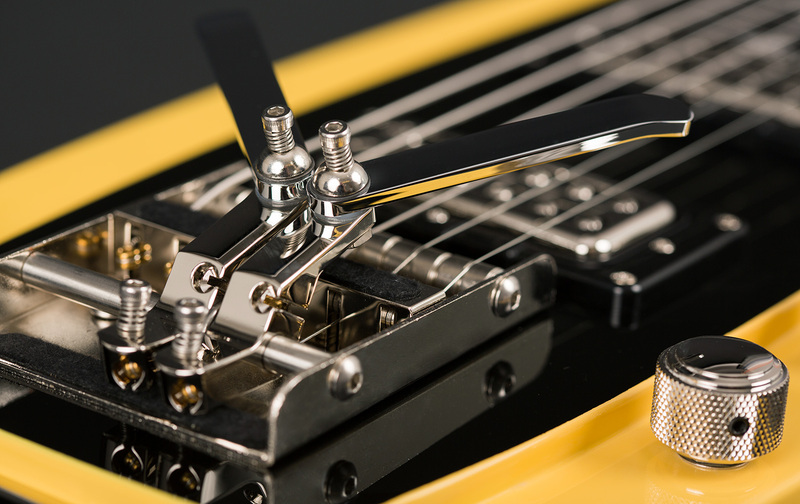 And the Duesenberg Speed pot controls work with a path of just 70˚ in order to achieve the lapsteel's typical swelling “wah” effects. The Pomona 6 Lapsteel is available in Black-Vintage Blonde. Width at nut: 65 mm / 2.56"
Size: 94 x 19 x 4,2 cm / 37" x 7.48" x 1.65"
Stringspacing: 54 mm / 2.13"